This insightful and exquisite book explains how our primal relationship with trees--a central theme in religion, myth, and culture--continues to evolve in an age of environmental fragility. Author A. T. Mann explores the properties of trees, and our complicated relationship with them. Stunning arboreal art and photographs celebrate the mystery of trees, enhanced by quotes from poetry, literature, and spiritual texts. Investigating the tree in varying guises, from Jungian symbolism to Indian fertility worship, Mann shows us new ways to appreciate them in our conscious and unconscious lives. 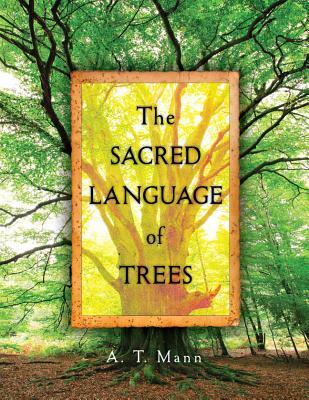 The Sacred Language of Trees will make us aware of trees' importance to the future of humanity and Earth itself. A. T. Mann is an architect, author, and astrologer. He graduated from the Cornell University College of Architecture, practiced in New York City and Rome, and won a Progressive Architecture design citation in 1970. He has written or co-written 20 books (translated into many languages), including Sacred Landscapes (with Lynn Davis), Mandala Astrological Tarot, Sacred Architecture, Sacred Sexuality, and the 2011 Mandala Calendar. Mann has lived and lectured around the world, and has taught at the Danish Design School, the Netherlands Design Institute, and Manchester Metropolitan University. His website is atmann.net.